The mLive headline is a little more diplomatic, but the Curmudgeon's headline is more accurate. "Silent Terri" has demonstrated time and time again she her knowledge of issues relevant to being a United States Senator is, to be generous, shallow. The prospect of debating a seasoned legislator with the knowledge and intelligence of Gary Peters has to scare the hell out of her campaign advisers. She won't even do an interview with anyone other than right-wing media shills. You think she'd really be willing to face Tim Skubick, let alone Gary Peters? The always excellent Eclectablog has exposed another ethics-challenged Snyder administration appointee doing something a little underhanded. This time, it's the new head of the Education Achievement Authority sending out "recruiting" letters for suburban students that are about as straightforward as that fake check you got as an inducement to change cable providers or banks. 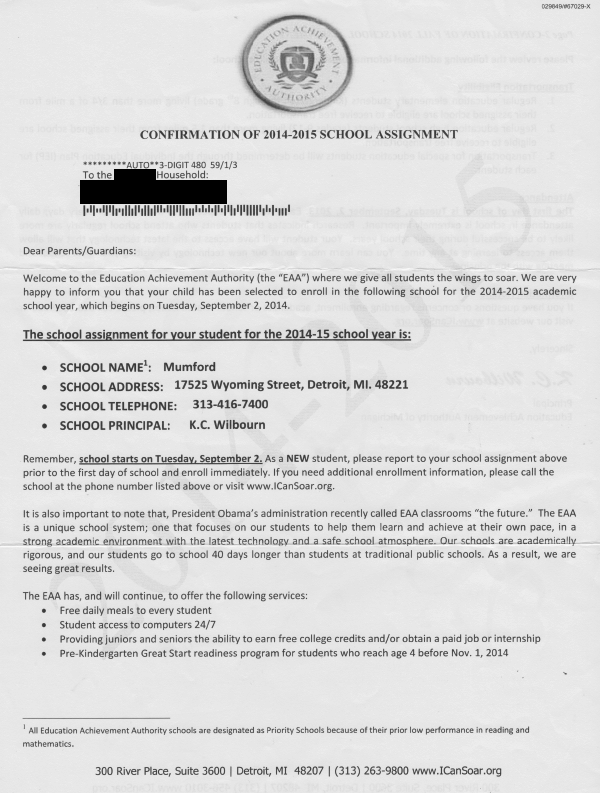 The letter is "Confirmation of 2014-2015 School Assignment" which, if you miss the fine print, seems to tell parents that their kid has been moved into a Detroit school. In reality it is an invitation to get the kid to transfer from their suburban school into one of the fine institutions in Detroit that the EAA took over because they were failing. Of course, the EAA is also failing. Their idea of improving the quality of Detroit schools includes such great ideas as increasing class sizes to 43 cutting teacher pay another 10% and generally gutting the public school budgets. 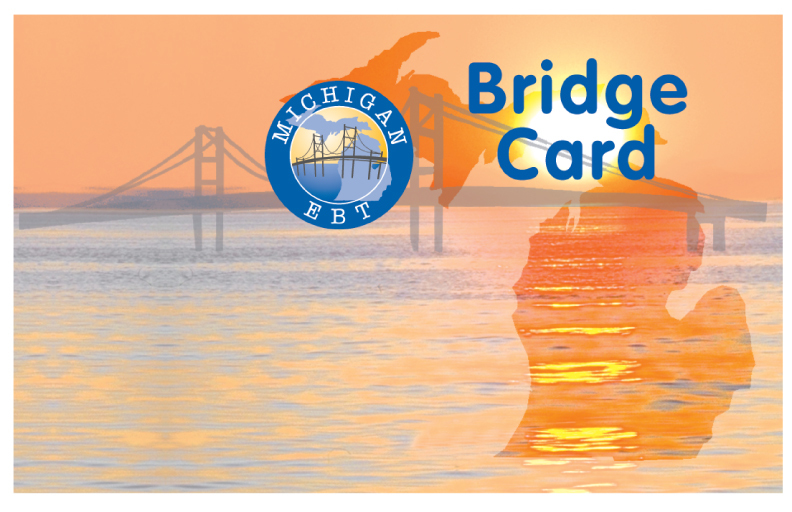 The ultimate end, it appears, is to do what they've done in Muskegon Heights: turn the public schools into a profit center for a privately owned business. And (surprise surprise) it is failing, just like the Muskegon Heights district where the for-profit company figured out it couldn't make a profit ... so it quit. an economy that works for everyone. Despite the "morning in America" positive relentless hype from the Tough Nerd, the evidence supports Schauer's contention that the Michigan "comeback" is just a mirage for much of our population. It isn't just an urban issue. Poverty is spread all across the state and is all-to-common in Republican-leaning rural areas as well as our major cities. The Detroit Free Press, to its credit, will not let go of the educational disaster that is Michigan's growing for-profit "public" education system. And the public, to its credit, overwhelmingly agrees. The EPIC/MRA poll shows the vast majority want full disclosure of how tax money is spent on schools, and an end to more schools being run as profit centers for (mostly out-of-state) private corporations.